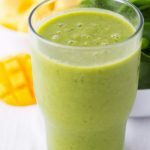 You know that green smoothies are good for you, but you may be thinking, “What if I don’t like green smoothies?” Well, my friend, perhaps you haven’t had the right one! 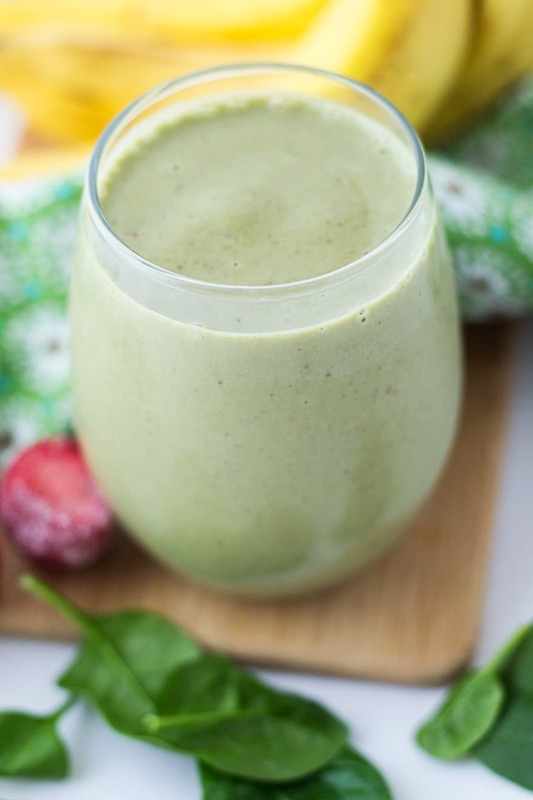 This strawberry banana green smoothie is nothing short of amazing. It’s sweet… it’s fruity… and you don’t taste the greens at all. The trick? Baby spinach! It’s one of the milder, sweeter greens you can use, but it’s still so good for you. So, try it today. I bet you’ll like it. I shop for a lot of our fresh and frozen produce at Sam’s Club. Huge bunches of bananas are super cheap, and I actually love when they’re very ripe. 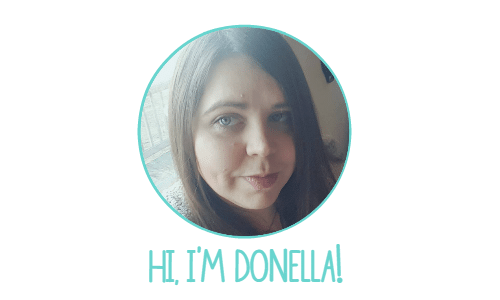 I take them straight home and put them into freezer bags. Sometimes I slice them, and sometimes I don’t. If your blender is small or doesn’t have much power, slicing them before freezing is a good idea. And you know what? I even freeze my greens. I’m really the only one in our family who enjoys greens, so the large bags or containers used to spoil before I could use them up. Now I freeze them instead. I pack baby spinach (about two big handfuls) into quart size bags, squeeze out the air and freeze them. It’s the perfect amount for just about any green smoothie. 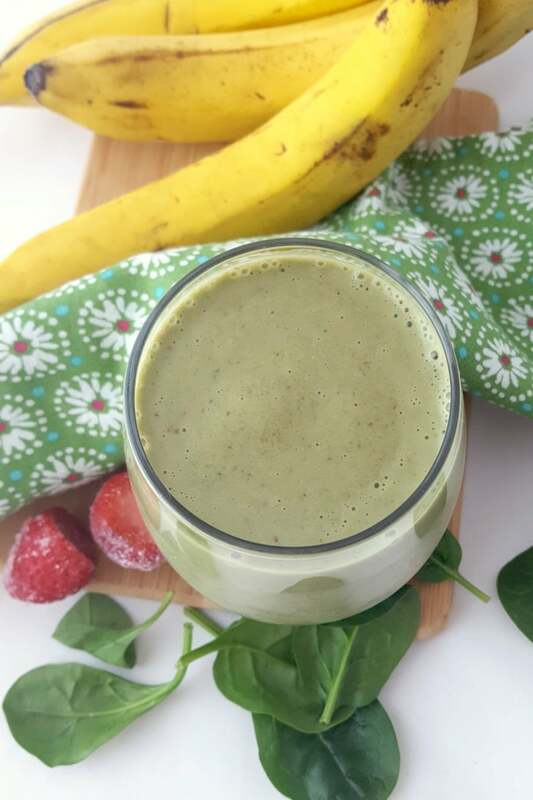 This smoothie is simple to make, but I have a few tips to offer to make it thicker, creamier and tastier than usual. Freeze your fruit first for a thick, flavorful smoothie. Yes, you can absolutely use fresh strawberries and bananas in this smoothie. But then you’ll have to add ice, and that waters down the flavor. Instead, slice and freeze your banana and strawberries (or buy them already frozen). 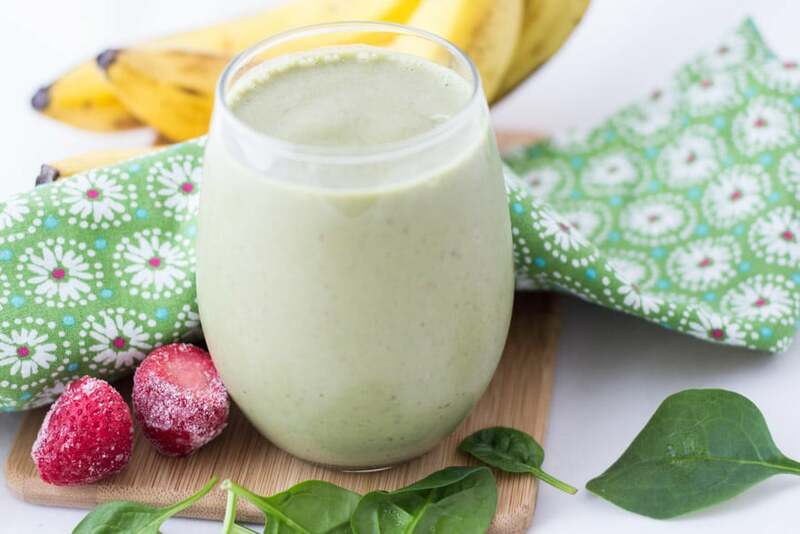 Use overripe bananas for sweeter smoothies. 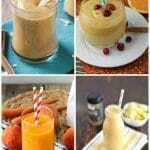 Thin smoothies that are too thick by adding 1/4-1/2 cup of water, juice or milk. To thicken them up, add frozen fruit or ice. Blend greens with liquid first. Don’t add the fruit to the blender just yet. Add liquids, greens, then yogurt and blend for about 30-60 seconds until the greens are completely smooth. Healthy has never been more delicious! 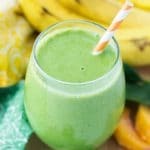 This strawberry banana green smoothie is good for you, but it tastes so good that you'll forget you've gone green. Add spinach, yogurt and almond milk to blender first. 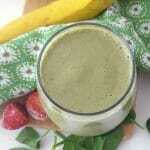 Blend until smooth and well combined, about 30-60 seconds. Add strawberries and banana pieces to blender. Blend 60-90 seconds until thick and smooth. If using fresh fruit instead of frozen, subtract 1/2 cup liquid and add 1 cup of ice. 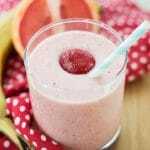 To thin a smoothie that's too thick, add 1/2 cup juice, water or milk.